Have you been charged or are under investigation for a tax crime? 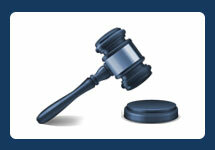 Retaining an experienced Orange County tax evasion attorney may be one of the most important decisions you make. Tax evasion is a serious white collar offense that many lawyers are unfamiliar with. 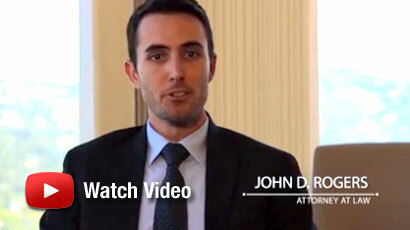 The Law Offices of John D. Rogers has a proven track record defending clients with white collar crimes in both state and federal court. Call us to schedule a free confidential consultation – early retention of a skilled attorney can make the difference of spending time in jail or having the case deflected altogether at its investigative stage. Tax evasion is charged under California Revenue & Tax Code 19706 making it unlawful for a business or individual to withhold money, failure to report, or deliberately hide revenue that must be disclosed or paid to the state of California. It is characterized as a fraud crime since a material element is that you specifically intended to defraud the Government. It is not uncommon for someone to be investigated or additionally charged with grand theft, money laundering, or perjury. You intended to unlawfully evade paying taxes. Tax evasion is a wobbler, making it punishable as either a felony or misdemeanor. A felony charge is ordinarily based on the amount withheld. For instance, an aggravating amount likely leads to felony charges where a small amount is usually filed as a misdemeanor. A felony conviction carries a state prison sentence of 16, 2, or 3 years. However, a misdemeanor conviction carries a sentence of 12 months in the county jail. The court may also impose a fine up to $20,000. Tax crimes can be a very complex area of the law requiring a meticulous examination of financial documents, prior tax returns, bank statements, or interviewing witnesses. 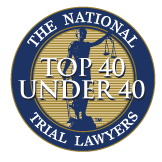 Accordingly, retained an experienced Orange County criminal defense lawyer is critical when addressing white collar crime charges. Contact the Law Offices of John D. Rogers today to schedule a free confidential consultation concerning your rights and defenses.